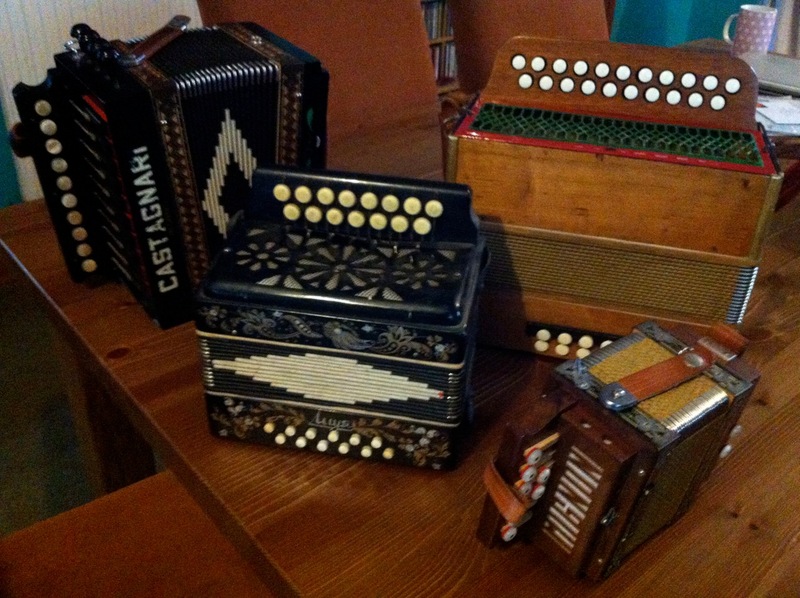 Discussing his non-collection, Andy Cutting sent along pictures of some of his accordéons. Not pictured are any of the three Mory boxes, which are somewhat ubiquitous in Cutting’s photos. the stradella bass? Is that the Crimean thing from John Tam? I ordered a D/G Lilly for a friend. A few months later it arrived. My friend was delighted then a couple of weeks another one arrived. I couldn’t very well send it back so I kept it. 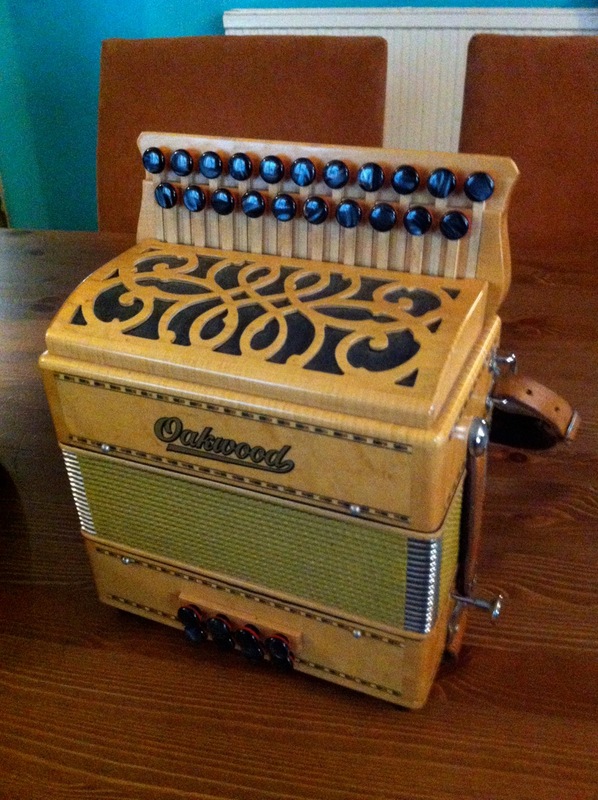 I now lend it out to people who want to have a go at playing the the box. This makes a bit more sense than the Lost Weekend I was envisioning — where you wake up with unexplained accordéons in your home — and reveals a not very surprising generosity of spirit!